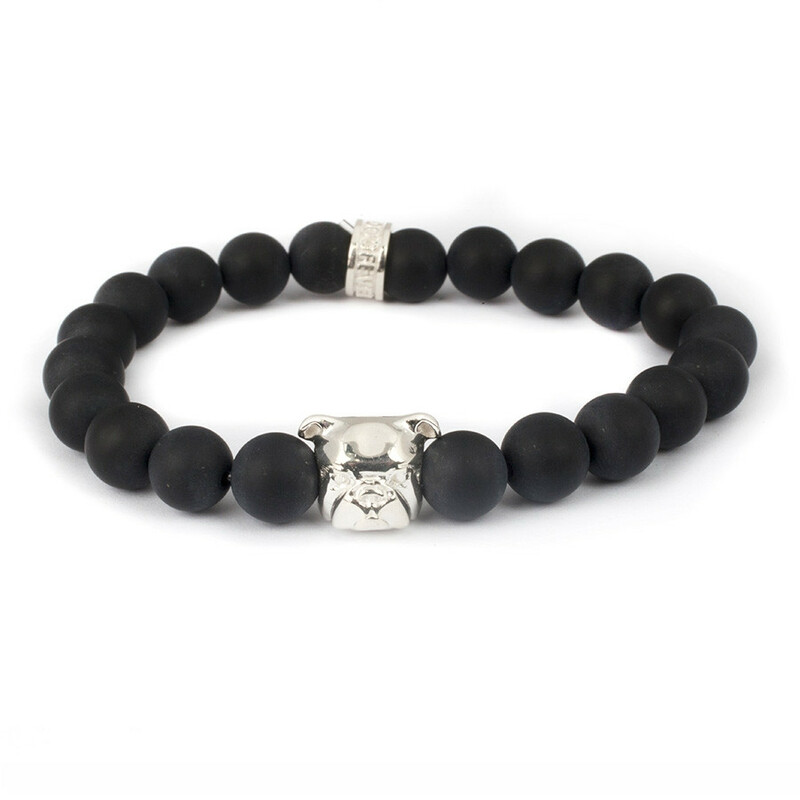 This sweet Dog Fever bracelet, crafted in sterling silver with black onyx beads, showcases the head of an English Bulldog in all its wrinkled glory! Can you think of a better way to pay tribute to your canine companion? Men and women with a passion for pooches are bound to love this bracelet from Dog Fever.